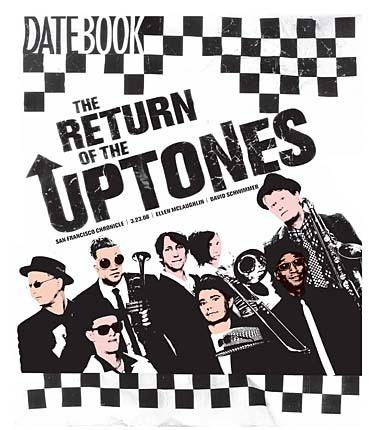 I co-founded The Uptones in 1981, and have been a member for every show and recording of our long strange Berkeley ska trip. This is my blog category about some Uptones doings, past, present and future. I’ll plop the show poster here too. Bring the fam! And yr dancin’ shoes! Author Eric DinPosted on February 19, 2018 February 22, 2018 Categories Blog, Live PerformancesTags The UptonesLeave a comment on Once In A Blue Moon UPTONES Gig! This is a compilation featuring each of the six people (so far!) who have performed lead vocal duties in The UPTONES: Erik Rader, Charles Stella, The Rev. Paul Jackson, Moose Lethridge, Emily Jayne, and myself. The most recent recording (“T.V. Guns”) is from 2010, and the earliest (“Out To Sea”) is from 1983! We did a show in 2011 in which we got all these characters onstage to perform their signature Uptones songs. It was an epic bit of cat-herding but definitely worth it, the show was a blast. 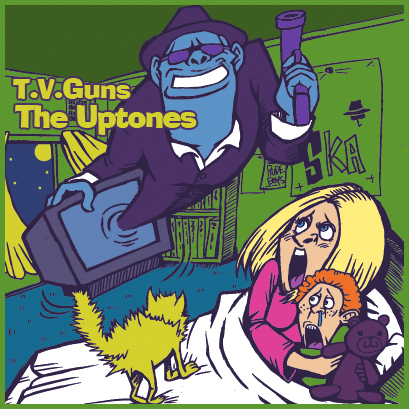 That probably won’t happen again, but you can still get the record from iTunes, or order a CD from uptones.com – I think we have like 2 left! Playing the Gilman Street Project as it was then known, is unlike playing any other venue. It’s all-ages and volunteer-run and there’s no booze inside. All of the energy of the audience pours onto the stage and is amplified by the band and launched back in a way you don’t often find in mainstream clubs. There’s a sign that says “NO STAGE DIVING” and that’s pretty funny. 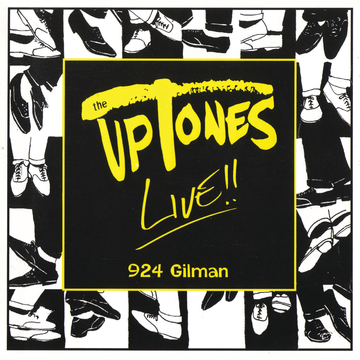 We played two sold-out shows in August of 1989 when the club was starting and The UPTONES’ 1st chapter was ending. Beserkley Records got ahold of a recording of the 2nd night, mastered it up and released it! You can hear a few tunes from it at uptones.com or pickitup at iTunes. Read the whole story at East Bay Express. Thanks Nate, and thanks everyone who attended and skanked it up at our dance contest shows! Join The Uptones email list if you want to be the first to hear when we do another one of these shindigs. T.V. Guns, Block Off The Streets To Shoot.. Author Eric DinPosted on June 17, 2014 July 24, 2017 Categories Blog, UncategorizedTags The UptonesLeave a comment on T.V. Guns, Block Off The Streets To Shoot..
UP-Fest in Berkeley, Friday, August 9th! 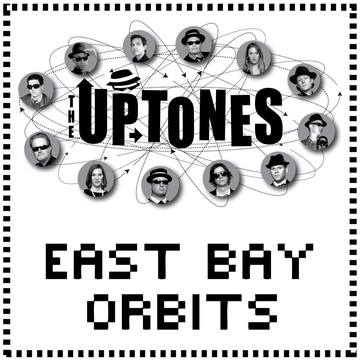 The UPTONES are doing a one-night-only midsummer show at Ashkenaz on August 9th, with The TITAN-UPS (the best Jamaican Rocksteady style band in San Francisco) and The RAVEUPS – an awesome band with guys from The Rubinoos, Santana, Psycotic Pineapple, and other bay area rock champs. It wasn’t until we had the show confirmed and the bands booked, that I realized all three bands have “UP” in their names. So I’m calling it an “UP-Fest.” ‘Cos I can. The Rev. Paul Jackson whipped up this cool poster and we have a FB Event Page where you are invited to RSVP and invite your friends! If ya don’t know already, Ashkenaz is ALWAYS All-Ages, and they serve beer, wine and excellent food, AND they have a fantastic wooden dance floor AND a great sound system! Fact is, you can count the number of remaining venues in the east bay that can say ALL that, on one finger. I’m proud to bring The UPTONES show, with all my skankin’ foolz, to our stalwart hometown dance hall again, and I hope you will join us! Author Eric DinPosted on July 28, 2013 July 24, 2017 Categories Blog, UncategorizedTags Ashkenaz, My Shows, RaveUps, The Uptones, Titan-UpsLeave a comment on UP-Fest in Berkeley, Friday, August 9th! I have had the pleasure of collaborating with some fine songwriters over the years, including the unique and completely original Paul Jackson. As a keyboardist, singer and composer in The Uptones, Paul has always pushed the envelope, lyrically and musically. “Bested By Pelicans” is right out of Paul’s head; I just helped bring it to life. I watched the idea grow from the initial moment of inspiration at the beach (all of it really happened, including the cheese-food-stuff!) to the rehearsal where he passed out the parts. After we recorded this, our friend, cartoonist Shannon Wheeler made some images for a lyric sheet, which Paul later animated in this clip. It’s on the Uptones’ Skankin’ Foolz Unite! album which you can buy directly from the band as a CD, or from iTunes if you’d rather get the download. 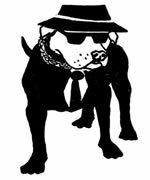 The Many Faces Of Buster the Ska Doggie. “Ridiculous” is one of my favorite words. It’s also the name of a song on The Uptones’ “Skankin’ Foolz Unite!” album. Here are the lyrics. The trumpet player with goggles in the picture there is our very own “Ska-T” Bertrand. Naturally, he plays his leads on this with a plunger. Read Ska-T’s comments about rocking the ska with the Uptones horn section in this interview with Skanking Fool himself. It’s redonkulous. 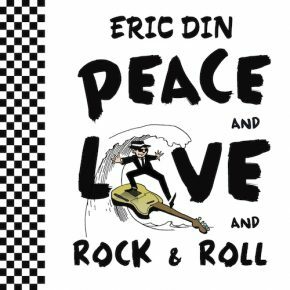 Author Eric DinPosted on November 7, 2012 July 24, 2017 Categories Blog, UncategorizedTags Ridiculous, skankin' foolz unite!, soundcloud, The UptonesLeave a comment on Ridiculous Ska In Berkeley!